There have been no standards of the construction of log homes adopted in Member States, and this area has been little regulated so far. Log home standards have been adopted and applied for several decades by the countries of North America and in 2006 such standards came into effect in Lithuania and Norway. As for the EU Member States, these processes are only gaining acceleration there. The appearance of the standard for the production and construction of log homes inLithuania was influenced by the increasing popularity of log homes and close international co-operation of companies. 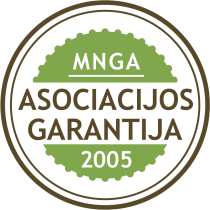 Foreign buyers more and more often claimed quality certificates from Lithuanian manufacturers and this, to a certain extent, facilitated the development of the Lithuanian standard. One of the reasons for the prolonged absence of the standard for the production of log homes is a great variety of log homes. There are handcrafted log homes, machine-profiled (milled or turned) log homes and glued laminated timber homes as well as timber beam summer houses (cottages). In addition, there are about 50 different types of hand or machine corner jointing. Logs can also differ in their profiles, i.e., logs can be round-shaped, rectangular-shaped, have different cant proportions, grooves, etc. Every manufacturer has mastered own manufacturing technology applied in the manufacturing of log homes. Consequently, there is a great variety of log homes. As for architectural solutions or cultural heritage of log homes, these aspects cannot be standardised at all. Yet, despite all these differences, there are common quality criteria applied to all log homes, and these criteria serve as a basis for the log homes standards. First of all, it is the quality of timber used in the production of log homes. The very process of timber processing, i.e., drying, storing and impregnation, is very important in the production of log homes. The second group of requirements relates to the structural solutions of a building. A standard is an agreement-based document, approved by a notified body, defining the rules, general principles or characteristics intended for a common and multiple using and aimed at introducing an optimal procedure in a certain area. Usually, each company manufactures and builds log homes in accordance with its own technology. The standard defines the general production and construction requirements conformity to which ensures the quality of a log home. Having summarised all the quality criteria and taking into consideration the experience of foreign countries, the Association of Log Houses Producers drafted standard "Log houses. Production and construction". On November 2006, the Standard was submitted to the Lithuanian Standards Board, Standardisation Technical Committee ?? ?Mediena" (LST/TC 17 "Wood"), which approved the Standard. The ALHP Standard is based on Good Manufacturing Practice and can be implemented by all companies. 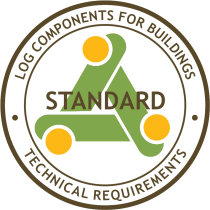 Implementation of the Standard is a voluntary process, but implementation of the Standard obligates the concerned companies to manufacture log homes in accordance with the requirements laid down in the Standard. Standard "Log houses. Production and construction" is applied for the construction of all types of log homes and defines the methods of manufacturing and building the structural elements of walls, floors/ceilings and roof systems. It contains the requirements as to the quality of timber, building structure and its assembly, sealing of gaps, settlement of buildings, and protection against biological damage, and etc. To prepare the Standard, the ALHP has used experience of the International Log Building Association (ILBA), where the ALHP enjoys membership, and has also consulted Lithuanian scientists and Norwegian experts. The members of the Association have formed a working group to deal with the relevant issues, so the Standard contains the collection of the best manufacturing practices. Log homes require particularly high-quality skills and specific knowledge, as wood is a living organism and log homes keep settling for several years. Gaps may appear between logs, settlement of a house may be uneven, mildew may develop in logs, etc. The Standard for log homes stipulates a number of different provisions and requirements to be met by a log home. In order to ensure high quality of houses built according to the Standard, the ALHP regularly visits the manufacturers of log homes and monitors their conformity to the Standard. When entering into contracts with manufacturers, customers are unable to know all the peculiarities of the production and construction of log homes. The Standard is intended to defend consumers and to protect them from substandard quality. The requirements laid down in the Standard ensure that a house built in conformity to the Standard will be a high quality one. When entering into contracts with customers, manufacturers should stipulate that log homes are manufactured in conformity to Standard "Log houses. Production and construction". This prevents future misunderstandings between the manufacturer and the customer. In addition, the ALHP helps foreign partners acquiring wooden houses from Lithuanian manufacturers to evaluate the quality of the manufactured log homes. The Standard for the production and construction of log homes is expected to improve the quality of houses as well as to increase trust in the Lithuanian production.